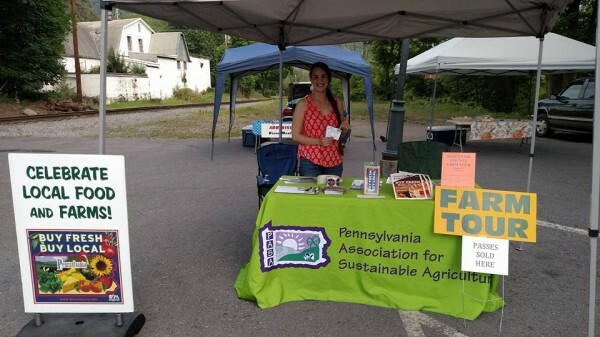 Check out Pennsylvania Certified Organic 5th Annual FarmFest: The FarmFest is held July 29 and July 30 at the Grange Fairgrounds in Centre Hall. FarmFest is a community event designed to educate on organic agriculture and sustainability through fun and informative activities in a festival setting. The FarmFest is free to attend and parking is $5. You can check out speakers, educational seminars, live music, food vendors, kids’ activities, Family Fun Run, Walk and Stampede, an organic dinner on Saturday, and much more. See who wins this year’s Golden Basket Awards: Noted local restaurant chefs compete for the Golden Basket award by preparing at the market dishes made from ingredients obtained from Boalsburg Farmers Market vendors. It’s become known as the Culinary Olympics of Centre County, and will happen Tuesday from 2:00 to 4:00 p.m. at the Boalsburg Market. Find out details in our recent story. Visit a farmers market or local food focused restaurant: What a great time to check out something new in the local food world here in Centre County. Go to a farmers market you’ve never been to. Try a new local food product. Try out a restaurant that features local food. You can find farmers markets and restaurants via the Buy Fresh Buy Local website. Do the Farm Tour: Get a behind-the-scenes look at local farms and food producers via the Centre County Farm Tour, held Saturday Aug. 6 from 9:00 a.m. to 5:00 p.m. Cost is just $15 per car or $15 per group of up to six cyclists. You can tour one facility or tour them all. This year they are showcasing the entire Centre County food system by highlighting local farms, businesses, and farmers markets throughout the county.